If you’ve been researching anti-aging treatments, then you’ve probably read a lot about “dermal fillers”. But, what exactly are they and how do they work to make you look younger? The most commonly used dermal fillers are Restylane, Restylane Lyft and Juvederm. Although all three are slightly different, they are all made up of molecules of hyaluronic acid or HA. HA is a sugar-like molecule that is found naturally in our body. When we are young, we have a lot of it (think baby’s soft, smooth skin). It gives our skin smoothness, softness and firmness. It does this by attracting and binding to water. On average a single HA molecule can absorb over 1,000 times its own weight in water! In the injectable gels, the HA molecules are all linked and bound together in various ways (some more linked and others less). This gives each gel a “consistency” and makes them stiffer, firmer and more resistant to breaking down. As you might guess, different gels are better suited for different areas: softer gels for lips and firmer ones for cheeks and temples, etc. The bottom line is that gels can be used to lift and plump facial structures and restore lost facial volume due to age. These attributes are what make dermal fillers such a valuable and unique treatment for fighting facial aging. HA can be broken down naturally by the body. This means that your dermal filler will naturally go away over time and you will need further treatment to keep your results. 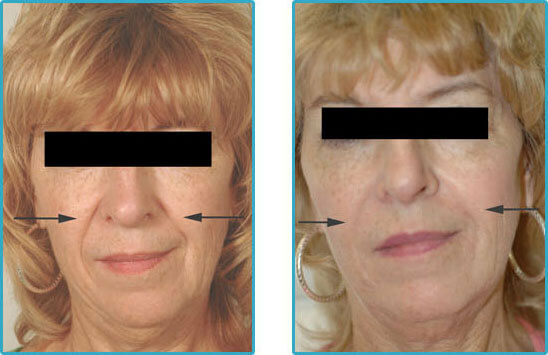 However, most of the dermal fillers have a lifespan between 4 to 18 months. They are all incredibly safe and there is an injectable enzyme that can be used to dissolve the gels if there are unwanted side effects or you simply just don’t like your results! If you’re thinking about having dermal filler injections, call us today to schedule your free consultation. We can help you decide if it’s the right treatment for you and help you choose the best products to fit your specific needs. 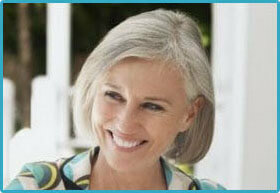 The consultation is free and there is never any obligation, so come see us today!